With enriched industrial acquaintance, we are providing a varied series of Aluminum Flip Off Cap Seal. Owing to their top performance and heat resistance, these are enormously demanded. 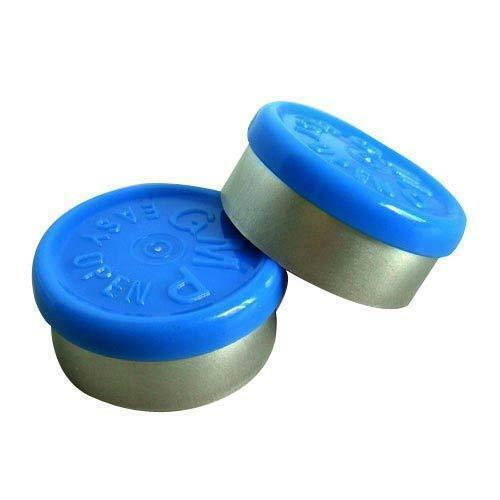 Established in the year of 1972, Paras Engineering Works are engaged in manufacturing and exporting of Aluminum Cap, Aluminum Bottle, Aluminum Vial Seal, Flip Off Seal and Aluminum Embossed Cap Seal. Manufactured making use of supreme in class material and progressive tools and technology, these are in conformism with the guidelines defined by the market.